Reason Record Education, General Sequencer from PropellerHead in the Reason series. 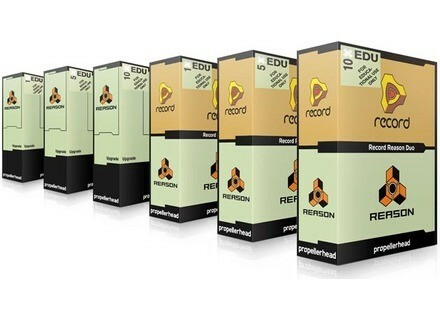 Propellerhead released Reason Record Education for sale—new packages consolidating the Reason Record application suite at a special price for schools and institutions. Available in license packs of 1, 5 and 10, Reason Record Education pairs music production environment Reason with Record, the recording software for musicians. In the classroom, the Reason and Record combination is designed to allow students to focus on music creation and production, not system maintenance and software incompatibilities. Reason and Record’s studio simulation metaphor is designed to allow students to configure (and reconfigure) a sound studio, selecting and wiring audio processors and generators, while the large format console model is designed to help "students to prepare for work in large, professional studios." Read more here about Reason Record Education. 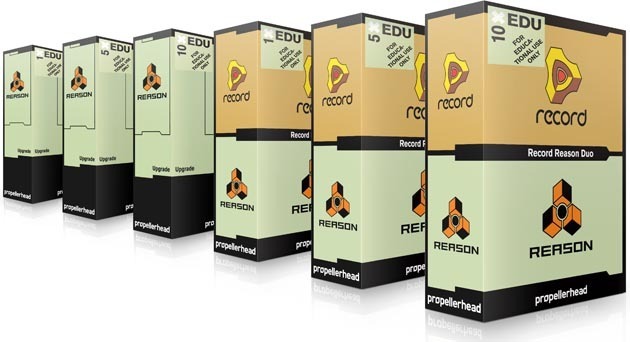 Reason Record Education is available for sale worldwide from authorized Propellerhead resellers. Upgrades to Reason Record Education for Reason version 1–4 are also available at reduced prices for schools and institutions. RME Audio Babyface Silver Edition RME introduces the Silver Edition of its Babyface audio interface.